Who loves green bean casserole? 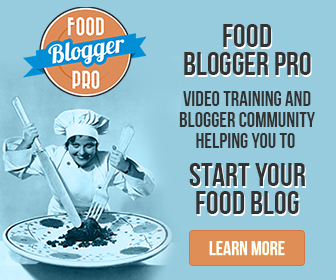 If you answered ‘Me!’, this recipe is for you! When you have a fabulous main course roasting in the oven, this recipe is a perfect accompaniment. It’s made on the stove top and can be timed so it’s ready when your main course is ready. I found this recipe while looking for vegetarian dishes to serve our guests that we invited to dinner. It was well received, and our guests asked for a copy of the recipe. So here it is! ‘Braised’ means cooked or steamed with a flavorful broth or cream. This recipe uses all fresh ingredients, nothing canned. So it’s a bit of a departure if you’re used to the canned green beans and cream of mushroom soup topped with french fried onions. This is definitely a recipe in which you must prepare/measure out all ingredients before you begin. If not, you may end up with burnt or over cooked elements (or both). It’s fairly simple in that you make your own french fried shallots~ a nice change from the traditional onion. They are mellow and more sweet in flavor, especially when fried in this manner. I hope you enjoy Green Beans and Mushrooms Braised in Cream as much as my family and I do. 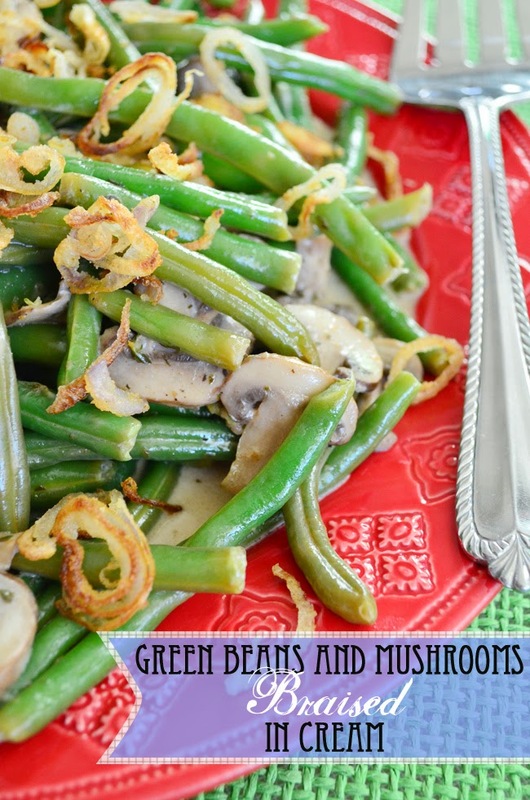 Green Beans and Mushrooms Braised in Cream is a lovely side dish to any meal. Playing off the flavors of classic Green Bean casserole, it's a modern take that is both delicious and easy. Heat butter and olive oil over medium heat in a large saute pan. When the oil and butter is hot, add in the shallots and saute until golden brown, about 7 minutes. Transfer to a paper towel lined plate with a slotted spoon. In the same pan, add mushrooms, green beans, cream, lemon juice and thyme. Bring to a boil and cover; reduce heat to low and simmer, stirring occasionally, until the beans are tender, about 15 to 20 minutes. Remove the cover, and simmer for a few minutes to thicken the cream if necessary. Transfer to a serving bowl and garnish with the fried shallots. Serve warm.